Ken Kurz, the newly appointed chief information security officer for Information Technologies and the University of Delaware, said Wednesday he looks forward to collaborating with his team and the university to expand access to services and information on campus while keeping data secure. In his new position, Kurz will report to Pitt and will lead information security governance on campus to support teaching, learning, research, administrative, and outreach activities at UD, according to the university. Kurz’s responsibilities include policy development, enforcement and compliance, risk assessment, incident response and training and awareness programs. “Because of his expertise and knowledge, Ken will be a resource to stakeholders in the UD community involved in information security, data governance, technology compliance, and IT risk,” Pitt said. Before his move to UD, Kurz served as vice president of IT and CIO at Corporate Office Properties Trust, a $5 billion dollar publicly-traded real estate investment trust, where he oversaw IT security, development and operation for three years, according to his LinkedIn profile. Previously, Kurz worked as the executive director of network and information assurance and CISO of the University of Oklahoma from 2014 through 2016. 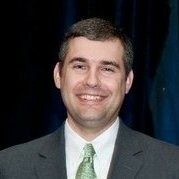 He has also spent time as the director of information systems at the U.S. Naval Academy Alumni Association and Foundation as well as the chief of the National Security Agency’s National Cryptographic Solutions Management Office. Kurz earned a master’s degree in Information and Telecommunication Systems from John Hopkins University and holds a bachelor of science degree in English from the U.S. Naval Academy.